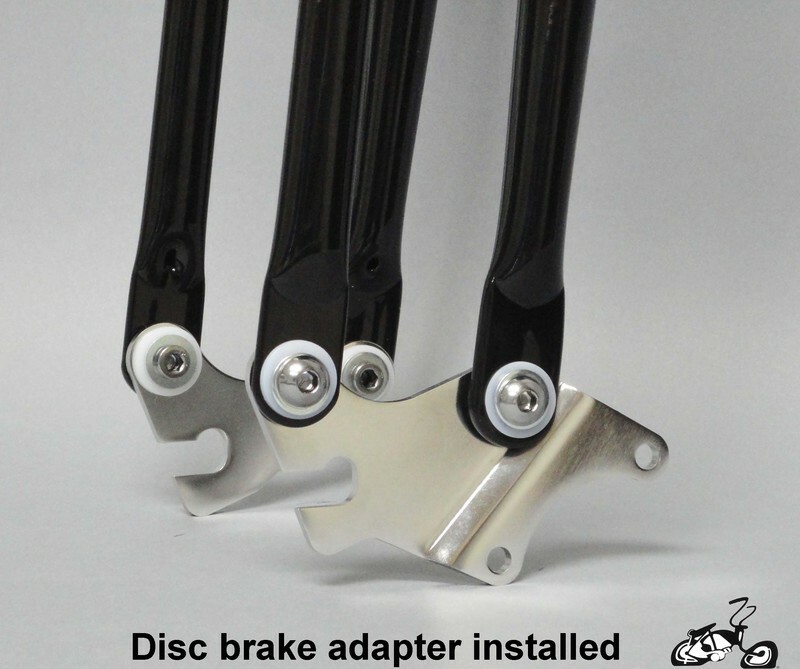 NOTE: THIS FORK WILL COME WITH THE DISC BRAKE ADAPTER DROP OUT ON THE LEFT LEG, IT WILL LOOK LIKE THIS. 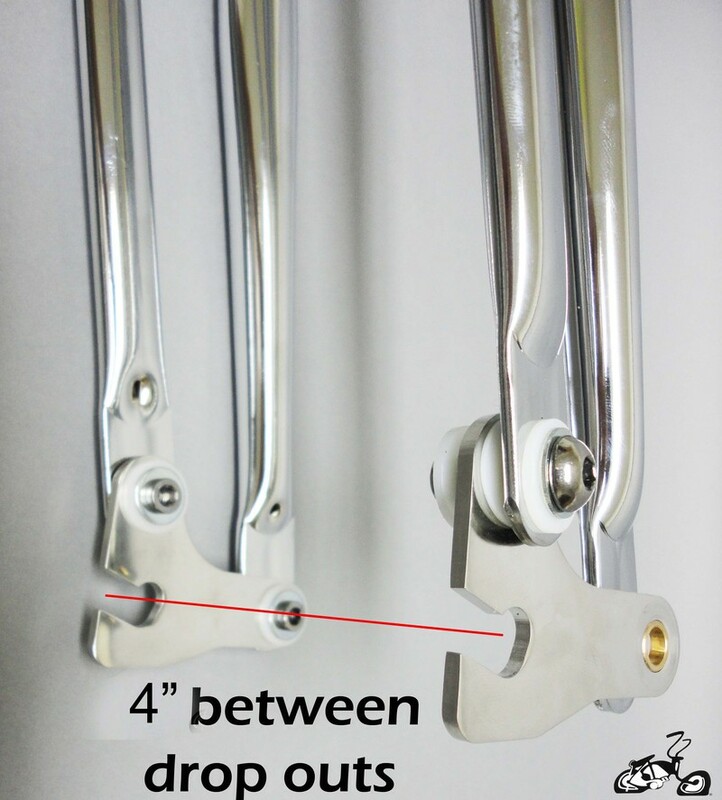 THE STANDARD DROP OUT FOR THE LEFT LEG WILL NOT BE INCLUDED, AND IS NOT AVAILABLE. 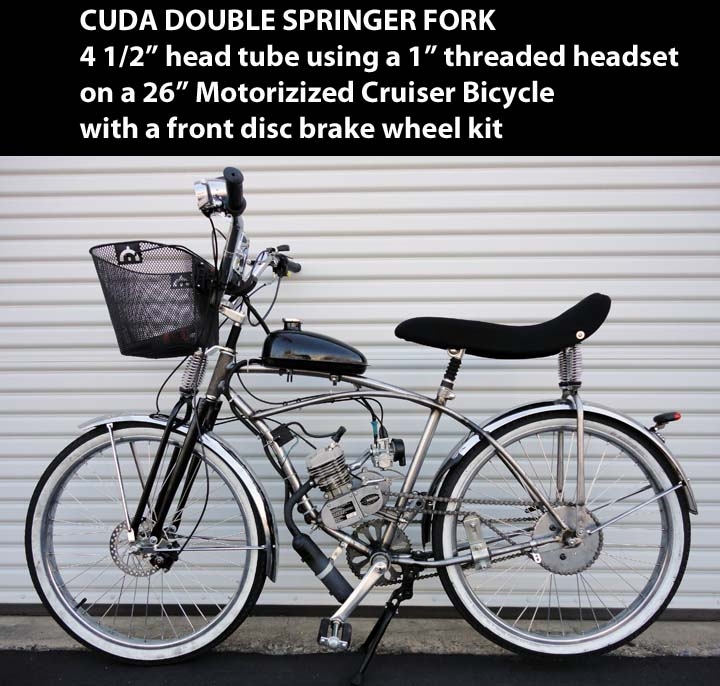 Made for 26" cruiser bicycles. 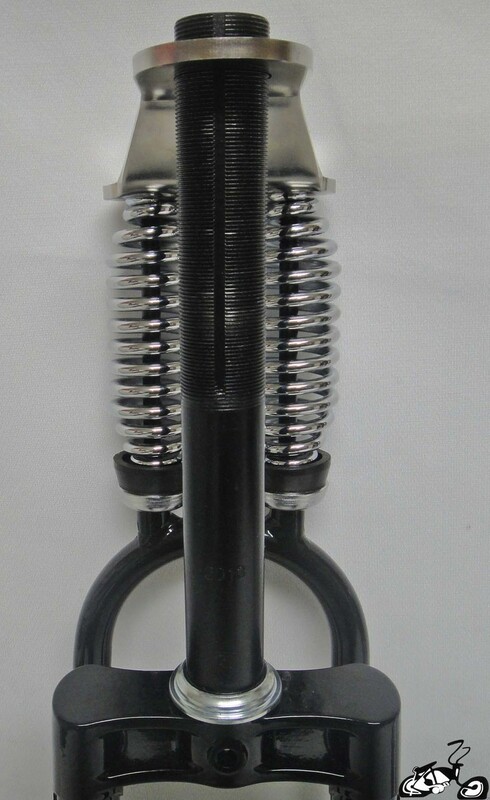 The heavy duty design is for motorized bikes as well. 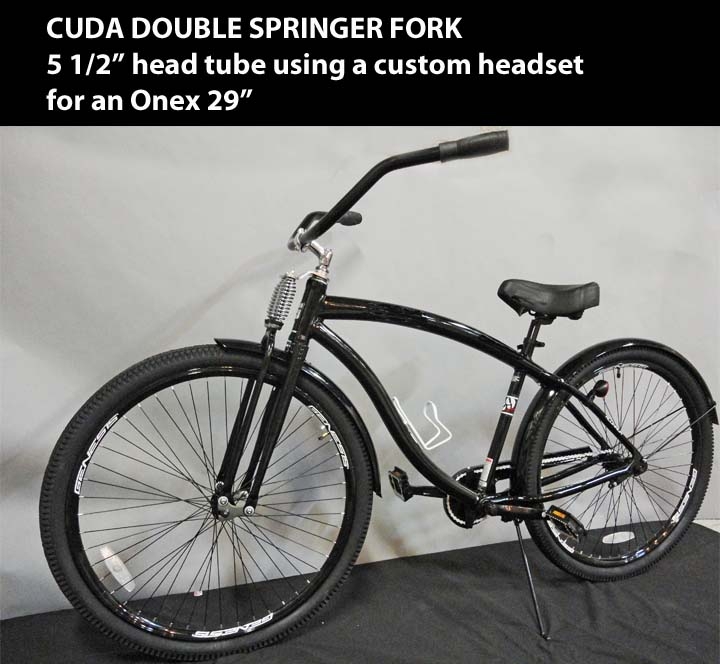 The 1" threaded steering tube works with most cruiser bicycles existing headset. 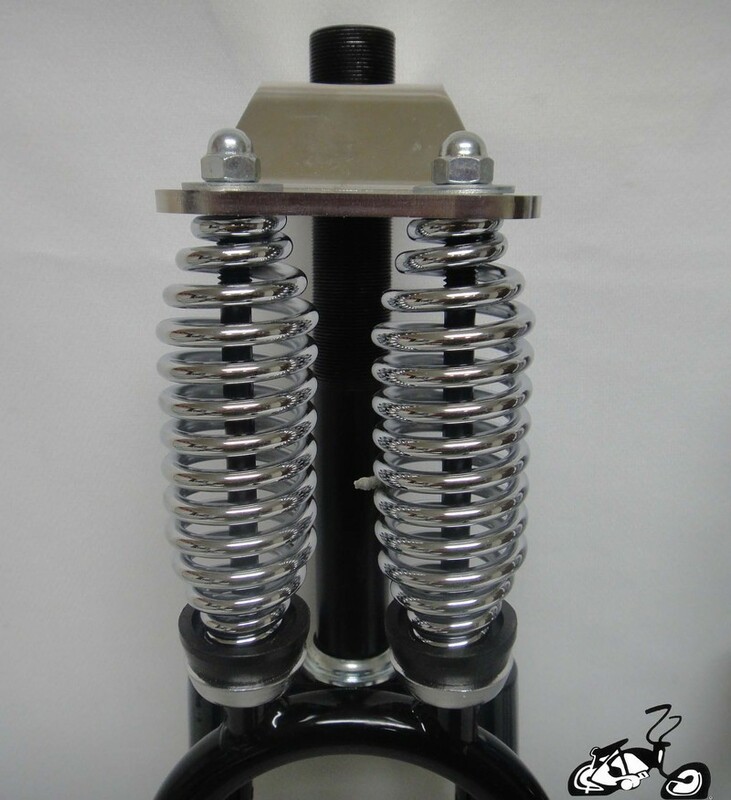 For cruisers using a 1 1/8" headset with removable bearing cups ad our headset conversion kit 840559; for cruisers using a 1 1/8" headset with bearing cups that are not removeable like on a Onex ad our headset conversion kit 840558. 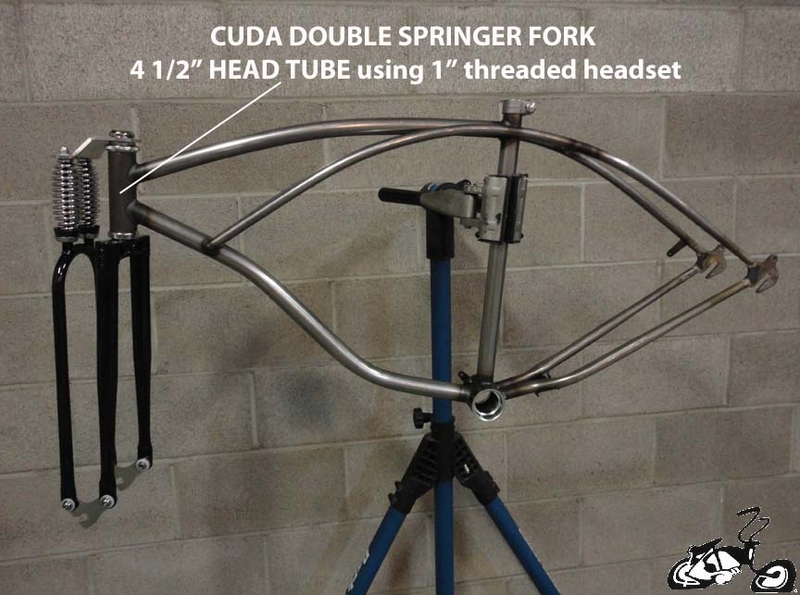 Pros: Great Springer Fork. Works and looks great on my Onyx!